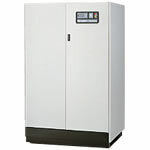 Liebert 600 is a mission-critical uninterruptible power supply, from 65 - 1000+kVA, can protect sensitive operations or entire facilities from voltage aberrations and outages. 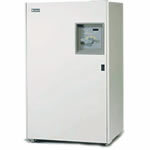 The Liebert 300 Series has the load capacity to serve a broad range of electrical equipment - from mainframe computers to Large Corporation-wide installations, production lines, electronic control systems and telecommunication equipment. Regardless of the quality of input power, Liebert Datawave magnetic synthesizer power conditioning system generates a stable output waveform to distribute to your sensitive electronic equipment. The self-contained system can be used to condition utility power, distribute it to sensitive electronics, and monitor power parameters. 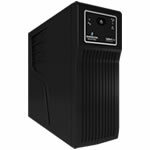 Liebert GXT3-MT on-line uninterruptible power supply (UPS) is a compact mini-tower model ideal for protecting sensitive electronics in a non-rack environment. 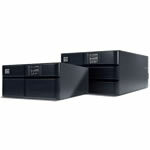 The UPS offers intelligent monitoring and network management functions. 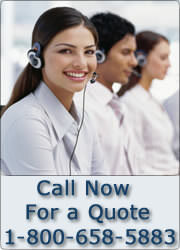 Liebert GXT3-MT on-line UPS is available in 1000VA, 120V. The NetSure™ ITM lowers the cost of data center design, operation and management. 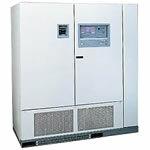 This 48V direct current solution is a row-based DC UPS that delivers simple, scalable and highly efficient data center power protection in 70kW modules. 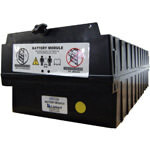 Up to four DC UPS modules can be installed together for 280kW of total power. Liebert Nfinity on-line uninterruptible power supply (UPS) is a scalable system, designed with N+x parallel redundancy to provide a fault-tolerant network of power protection. 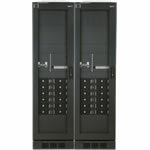 Its modular design was devised to provide easy, user-installed upgrades as data center power demands grow. Configurations can be cost-effectively upgraded without re-investing in a new uninterruptible power system or installation. 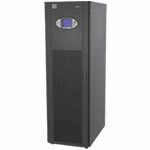 The Liebert Nfinity UPS is available in scalable 4-16kVA and 12-20kVA models, 60Hz. Modules are scalable in 4kVA increments. 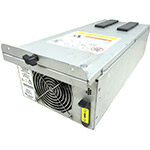 With this Power Module, you can extend your backup runtime, expand your current system, or add redundancy. 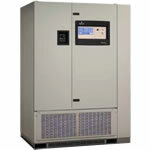 Liebert Npower uninterruptible power supply (UPS) system features one of the industry’s smallest footprints in a full-featured, high power UPS system. All-digital controls allow for ultra-fast adjustments to changing data center power loads. Liebert Npower is rugged enough to handle load branch faults, input faults, 100% step loads, PDU startup inrush and motor-load startup. 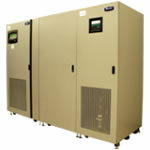 Liebert Npower is available in seven models ranging from 30kVA to 130kVA; 208, 220, 240, 480 or 600VAC; 60Hz. Multiple configuration options are available, including single module, 1+1 redundant for single bus systems, and single and dual input. 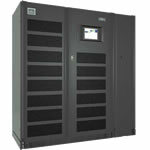 Liebert NXL uninterruptible power supply (UPS) provides reliable data center power protection and advanced technology for high power applications. 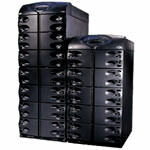 This UPS adds dynamic performance to data center design, handling virtually any input condition while still providing computer-grade output to critical loads. 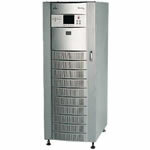 The Liebert PowerSure PSA is a line-interactive UPS with automatic voltage regulation (AVR). It provides one-on-one battery backup and power protection for PCs and other sensitive electronic equipment, with more than 5 minutes of battery time at full load. This full-featured UPS also provides dataline protection, and offers USB, serial or contact closure communications from a single unit. 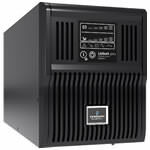 Liebert Series 610 uninterruptible power supply (UPS) is designed to protect large-scale, mission-critical applications from the full range of data center power quality problems and outages. 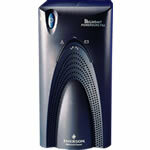 The space-effective system is also extremely energy-efficient, with an operating efficiency of up to 94%. Field-proven reliability and multiple configuration options make Liebert Series 610 an industry leader in data center infrastructure protection.